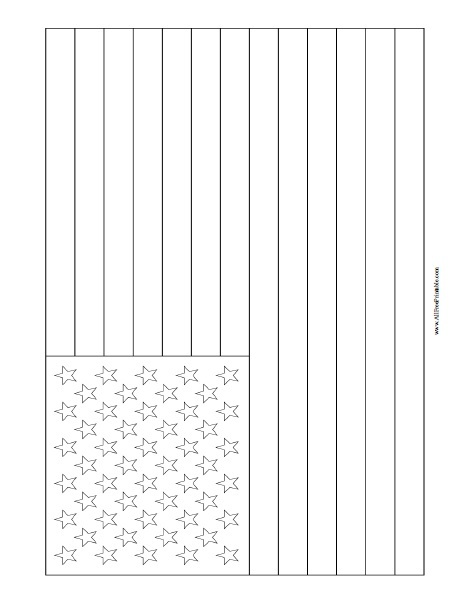 Free Printable USA Flag Coloring Page. Print Free USA Flag Coloring Page, a great learning resource for children at school. With this flag your students can have fun and learn more about the United States Flag at Geography classroom. Print all the US flags that you need for your students with your inkjet or laser printer. The USA Flag Coloring Page needs only 3 crayons, white, red and blue. Click the link below to download or print the free Stars and Stripes USA Flag Coloring Page now in PDF format. Print free World flags here.